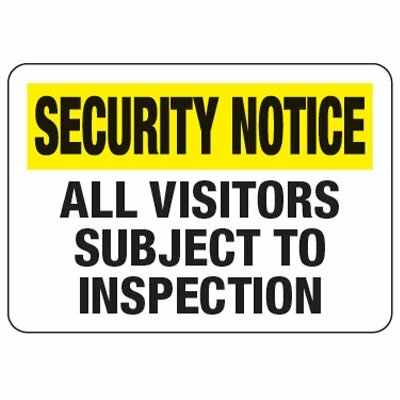 Inform workers and visitors that their vehicle, bags, or body may be subject security inspection with commercial and state inspection signs. 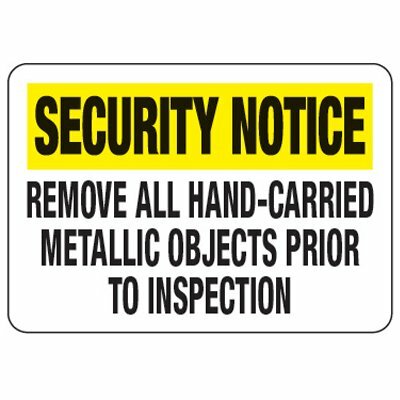 Our permanent and portable security notice signs provide informed consent and identify inspection methods used, including Metal Detector Inspection - All Bags, ISO - Quality Assurance Awaiting Inspection, and OSHA Notice - Notice All Vehicles Entering or Leaving the Premises are Subject to Inspection signs. Steel Sign Stakes are also available. 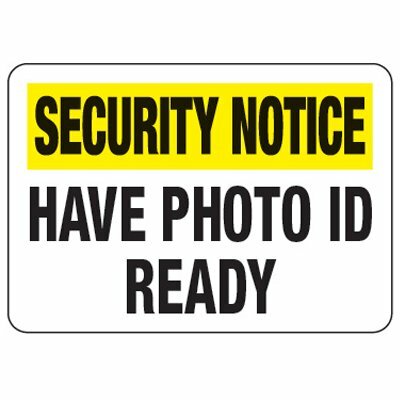 Notify visitors that their property and person may require inspection with inspections signs. Ideal for metal detector screening areas and guard houses, security notice signs alert visitors to inspection type and prohibited items.